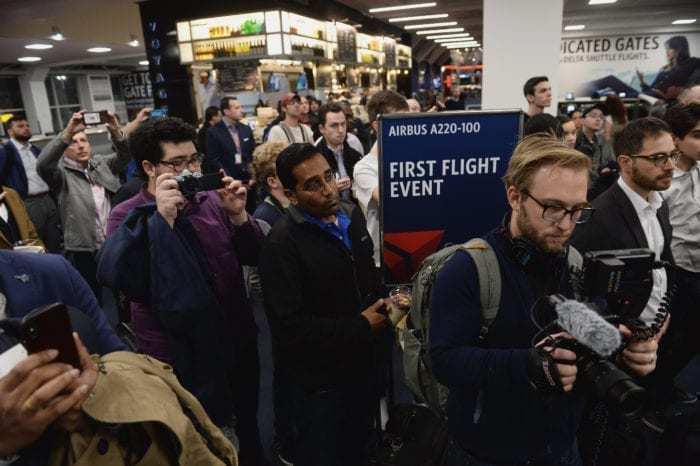 Delta Airlines today flew their first passenger flights on their new A220s. The aircraft was first delivered in October 2018, however, had yet to fly due to the government shutdown. The original first flight was due to be held a week ago on January 31st. Delta had 7 aircraft which were waiting on FAA certification during the shutdown including the A220. Delta Airlines has a total of 90 A220s on order, with the most recent 15 being announced just a month ago. According to Airfleets.net, Delta Airlines currently has 884 aircraft in its fleet. This means that once the rollout of the aircraft is complete, around 10% of the Delta fleet will be made of the A220. The first flight operated by Delta’s A220 was fairly uneventful. DAL744 departed from gate C38 at La Guardia on time. The flight flew for 1 hour and 8 minutes travelling a total of 175 nautical miles. Despite leaving La Guardia on time at 0600, it eventually landed in Boston 12 minutes early at 0708. The aircraft, N102DU is spending the rest of the day shuttling back and forth between New York and Boston. Tomorrow the aircraft is due to fly further afield and operate two return flights to Dallas. Dallas recently welcomed a Southwest Airlines B737 from Honolulu. The Delta A220-100 has a rather impressive toilet. The aircraft is designed with the window location as a non-option. This means that airlines are not able to choose the position of the windows. As such, most airlines have three choices. Don’t locate a toilet over the window. Cover the window, or leave the window as part of the toilet. Thankfully Delta has opted for the latter, meaning that many passengers using the restrooms at 20,000ft will get a lovely view. Passengers on other airline’s A220s may not be so lucky. 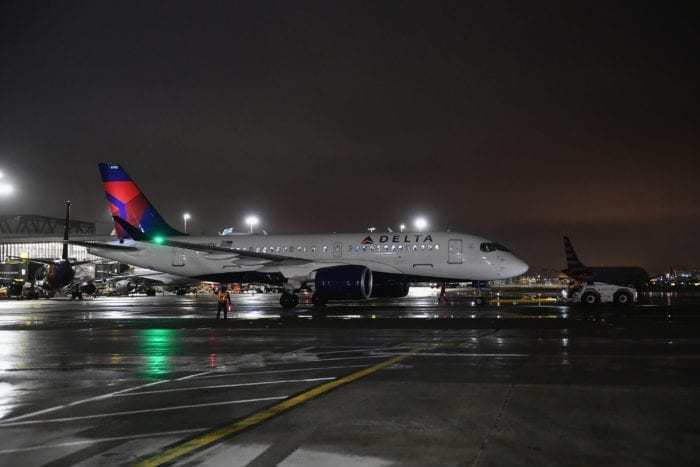 Will you look to fly on the Delta A220? Let us know in the comments down below!